Who knew you could have so much fun looking at a web site that sells magnets? K&J Magnetics is an awesome site, with detailed information on each magnet they sell that helped us find just the right strength magnets for holding a mosquito / bug / insect net on to the metal walls and through the plastic B-pillar cover. Now we have a well tensioned mosquito net with magnets sewn in to the perimeter. 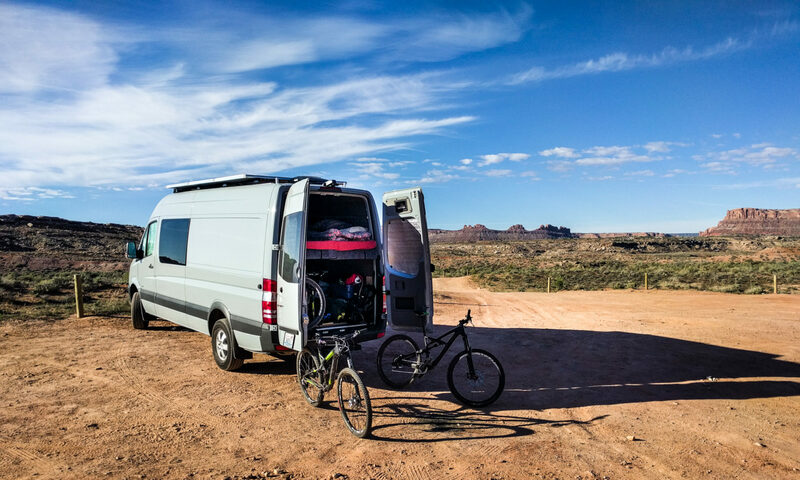 It stays up in the wind, but it’s easy to open to get in and out of the van. It hardly interferes with the view in or out of the van. In fact, it’s quite hard to see in the picture below. We sewed thin 1.5″ wide polyester webbing on to some very sheer mosquito netting. We placed rare earth magnets every 12″ around the top and sides. The two top corners got stronger magnets so that they can keep the whole net in place. We took off the B-pillar cover (the plastic thing at the front end of the sliding door that has the seatbelt reel inside it) and glued relatively strong magnets at the correct locations inside it to match up with the magnets in the netting. We were careful to get the polarity right as well. 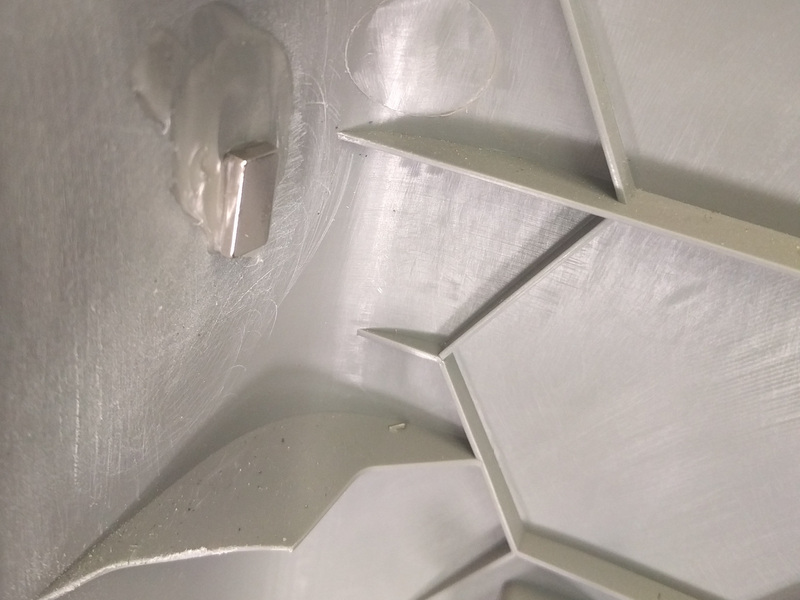 We used a two-part epoxy formulated for plastics. Hold the magnets in place while the glue dries by putting another magnet on the other side of the plastic! 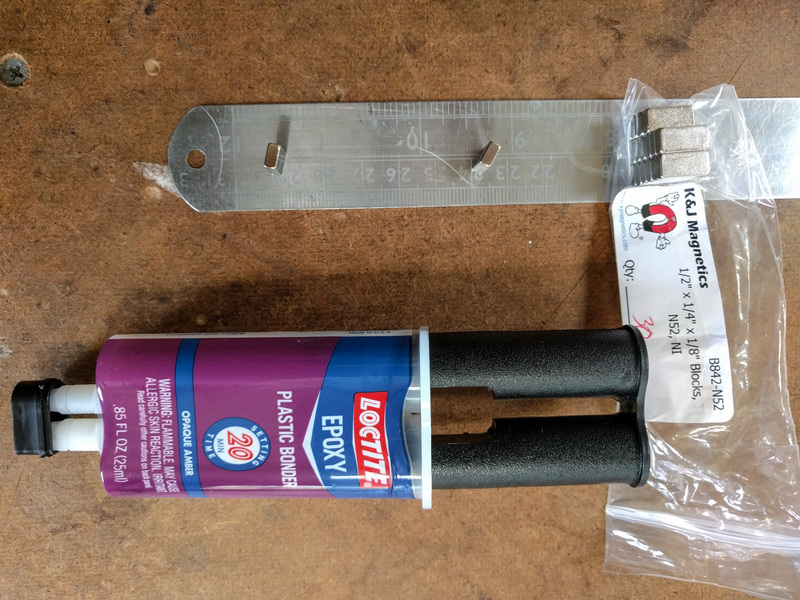 Lay the magnets you want to use out on a steel ruler so you can pick each one up individually without them trying to pull towards each other. With the magnets glued in, the netting snaps to the correct place on the B-pillar cover. 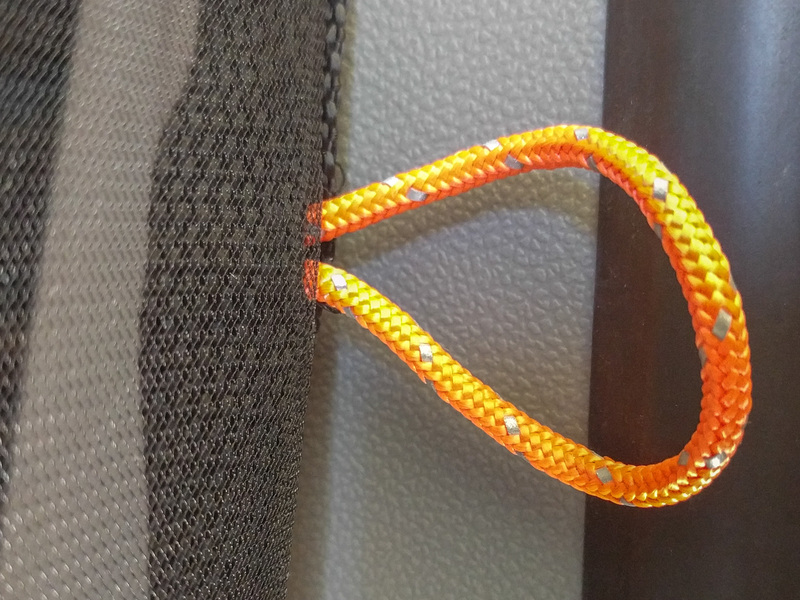 There’s orange paracord in a couple of positions down that side of the netting just to make it easier to pull the netting away from the wall. 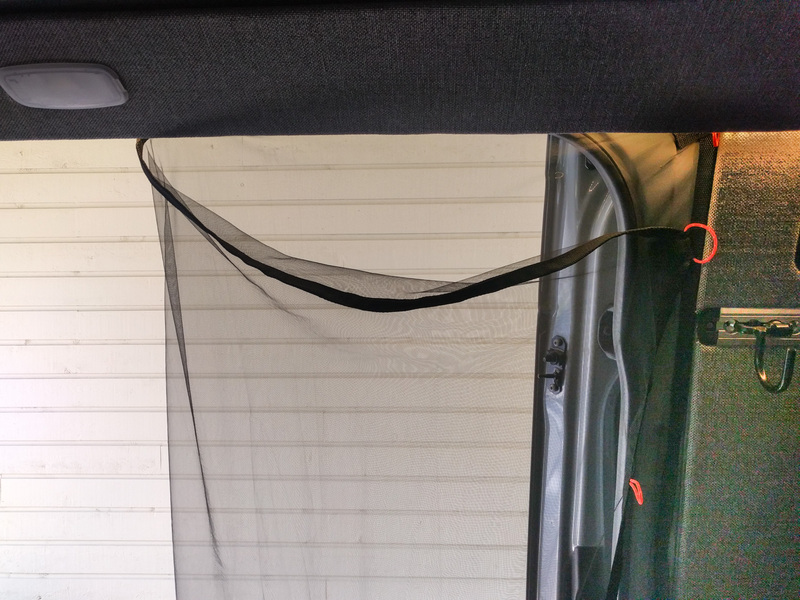 Because we used magnets, it’s easy to fold the net back on itself to clear the door opening. The net might end up staying in place folded back like this most of the time. Overall, we’re pretty happy with how the net turned out. In fact, we like it so much we’re planning on making one for the back doors too. 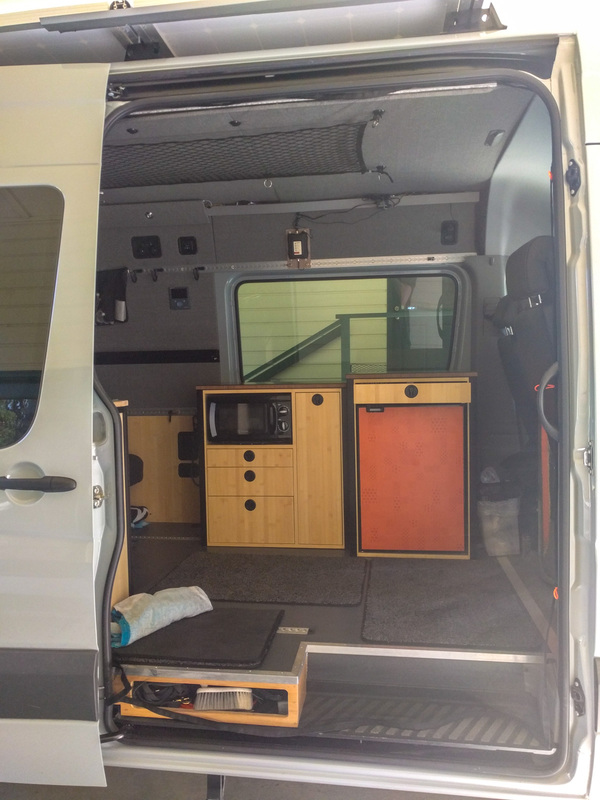 It will be great to be able to open the sliding door and the back doors and have a draft moving through the van without any bloodsucking winged visitors. Do you have the measurements for your netting sewing project? It’s awesome! If you’re going to build your own net, the best thing to do is to measure as you go. You might have a different fixing method or decide to put magnets in different places. Having said that, our net was around 81″ tall and 54″ wide. Hope that helps! Hi there, love your design. I’m having a hard time trying to figure out where to attach the netting to on the bottom. How did you guys attach yours? Michelle, we left our netting slightly longer than the height of the door and it just drapes on the floor. So far, that’s been good enough for us. 🙂 Got one more question for you. When sewing the magnets into the fabric border did you have issues with the magnets trying to connect with the sewing machine needle or did you glue the magnets into place on the fabric before sewing? Those darn magnets! They tried to clamp to the sewing machine bed, the needle, the foot, in fact everything other than where we wanted them. Gluing them in would probably have been a good idea, but we found we needed to do small up-and-down adjustments after we’d stitched up the border. What we ended up doing was using small bulldog clips a bit like these ones from Amazon just to hold the magnet in place against the border fabric. It didn’t stop them from wanting to attach to everything else, but it kept them in place while we stitched them up. Can I pay you to make me one of theses sliding door nets for my 2016 sprinter please? Steve, you wouldn’t like my hourly rate I’m afraid. It’s actually pretty simple to do it yourself if you have any sewing machine skills at all. Steve, tempting as your offer is, and as gratifying as your confidence in my workmanship is, I couldn’t make a screen for you for less than places like the Sprinter Store charge. Their screen is $309.